Jesus said very clearly, I am the vine, you are the branches. Wisdom is supreme; therefore get wisdom! (Prov. 4:7) Praise the Lord! From definition to position to acquisition to retention, we’ve been on the road to getting wisdom. You’ve got it, now hang on to it. Once you’ve tasted the fruit of the Father’s wisdom, seen the results in your life, and experienced the abundance in life Jesus promised you will want to stay in that flow of wisdom. Retaining that flow of the Father’s wisdom is really quite simple, perhaps similar to other aspects of walking with God on a continual basis. 1) First, you stay hooked in to the source, Jesus. 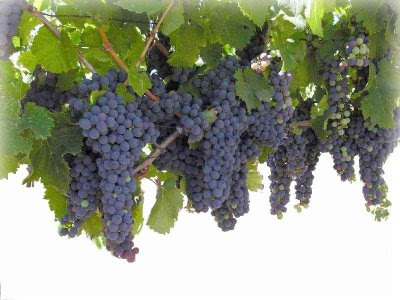 In John 15:5 Jesus said very clearly, I am the vine, you are the branches. If a man remains in me and I in him, he will bear much fruit; apart from me you can do nothing. Staying hooked in to Jesus is not so much about eternal life as about abundant life; i.e. maintaining the heart perspective of ‘you can do nothing without Him’. Remember my previous posts. Wisdom is not a one time ‘zap’ for the moment, but a continual place of living. When your daily walk is grounded on this principle you will retain a flow of wisdom in your life. 2) Second, hang out with wise people. Solomon said ‘he who walks with the wise, grows wise.’(Prov. 13:20) You hang around with people who value and walk in the riches of wisdom. By ‘walk with them’ I mean having wise people as your inner circle of influence... them influencing you...you influencing them. I’m not talking about creating a ‘wisdom clique’ of people who think too highly of their intellect. I’m talking about your life associations of key influencers; men and women of wisdom. You’ll know who they are. They’re not necessarily ones with the biggest businesses, largest churches, or biggest bank accounts. They’re not necessarily the opposite of that, either. They are men and women who display the fruit of wisdom described in my previous post. They walk in stability, peace, and perseverance, displaying a continual fruitfulness in whatever call, position, or demographic of society in which they reside. Find them and hang with them. 3) Third, continually cultivate your heart of humility. This follows closely with my first point above. You continually remind yourself that, in spite of your knowledge, understanding, and display of fruitfulness, you are completely dependent upon the Father for all of it. You positioned yourself for gaining wisdom with a heart of humility recognizing your personal wisdom and knowledge were insufficient for life. Stay there!!! I occasionally see men and women who gained wisdom, walked in a good measure of knowledge, and displayed wisdom fruit but begin to lose it all when they got ‘too big for their britches’. They slowly stopped depending upon the Father and subtly began to exalt themselves. The business person or CEO who gave great credit and financial profit to employees now takes most of the credit and financial profit to him or herself. When invited to share their wisdom and knowledge at speaking engagements it becomes more about them than about the Father. The pastor or preacher who always took time to talk to their followers, suddenly has no time for anyone. Such people did not cultivate the heart of humility. True spiritual wisdom no longer grows in their heart, replaced by increasing self acclamation and self promotion bringing forth the fruit of self. Because they changed they will soon harvest from a new heart--the heart of the haughty. All you who are filled with wisdom, stay humble. Keep that heart of humility tended and cultivated by the Father’s grace and love. This is a great reminder to me as I start my new job to stay grafted in. Excellent series on wisdom!